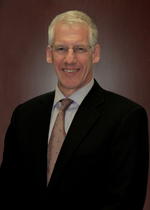 After earning a BS in business administration from Cornell University in 1983, Eric gained valuable business insight and eight years of experience as president of a family-owned company in Woburn, Massachusetts. Eric decided to use this experience to help other business owners deal with the complexities of estate planning, retirement planning, and executive benefits. Eric’s practice expanded over the years, leading to the establishment of The Hanson Group in 2002 and includes comprehensive management of corporate retirement plans and individual wealth management. Life, Health & Variable Insurance License. *Through Commonwealth Financial Network®, Member FINRA/SIPC, a Registered Investment Adviser. 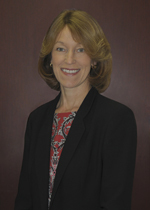 Carolyn co-founded The Hanson Group with Eric in 2002 and serves as client manager. She earned a BS from Cornell University in 1983. Licensed as an agent with the Commonwealth of Massachusetts, Carolyn manages the life/disability/long-term care insurance arm of The Hanson Group, as well as group health/dental/benefit plans. Eric and Carolyn live in Andover, Massachusetts, where they raised their four children. Carolyn has served on many volunteer boards, including elementary, middle, and high schools; church; youth support; and scholarship committees.